Yay! This is the greatest. Your hat looks wonderful. So glad that you like it! I kept thinking that if you were the only one who did, that would be just fine by me. Firstly, your toque looks adorable! Secondly, I always love a leonard cohen quote - he is a genius. I have been on such a pom pom kick lately, too! I made my mom and myself both pom pom wreaths for Christmas. So cute, I've always wondered about knitting on a loom like this. Sometimes I really want to knit but my hands hurt so bad I can't. I also have the problem of knitting hairs into everything I make. Aw, that's too bad about your hands. I don't find the loom to be too bad on the hands. Less cramping than when making pom poms, I think. Thanks! And I don't know about that... not sure if they're sale-worthy! it's very cute! I am a crazed knitting obsessed woman now but in the beginning i used looms too. 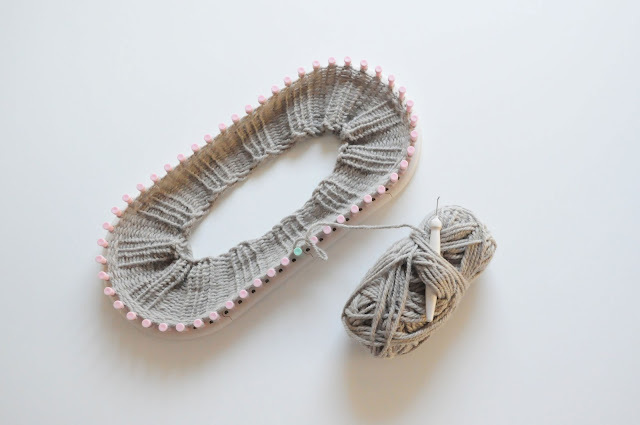 It's fun and quick and easy and you can knit in a circle without circular needles or double pointed needles! Great hat — congratulations! I get so excited whenever I see anyone take up knitting/crochet/weaving. It's such a rewarding skill to have, and there's just nothing like spending time with good wool. And marking your place in any way that works for you is a key part of knitting, nothing goofy about that! I am another knitting addict who's never tried one of those knitting looms, but it looks like great fun. I'll have to give it a go. By the way, to Jen, lots of people have hand or wrist pain when knitting and find it not to be the case if they try a different size or type of needle. Straight needles kill my wrists, for instance, but I can knit all day with circulars. (Which is good because I prefer knitting in the round anyway!) Some find large needles hard to work with but small ones fine, and vice versa. So you might just try switching things up and seeing what happens. Thanks so much! And yeah, it seems that there are so many different things you can do with that particular loom kit, so I'm looking forward to trying a few of them. 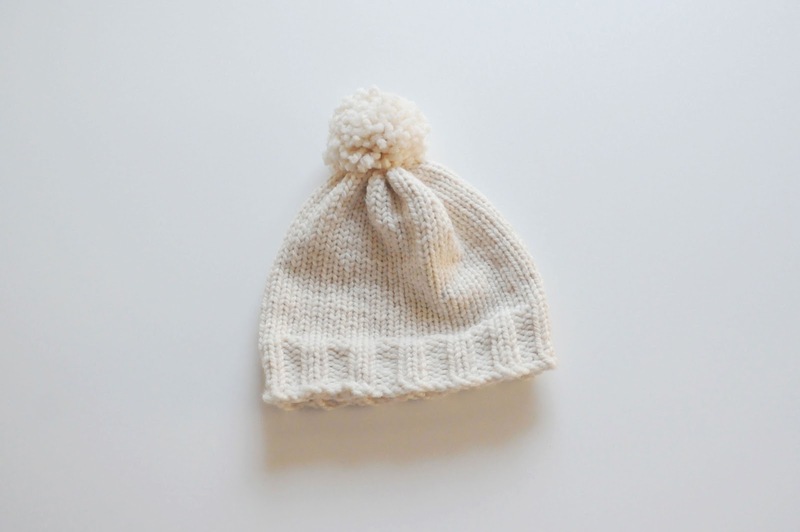 The toque you made is so adorable, and I love your pom poms! I would love to learn how to knit! My mom is so good at crochet and she's tried to teach me but I could never get the hang of it either. I'm too impatient to learn sometimes! Ha! 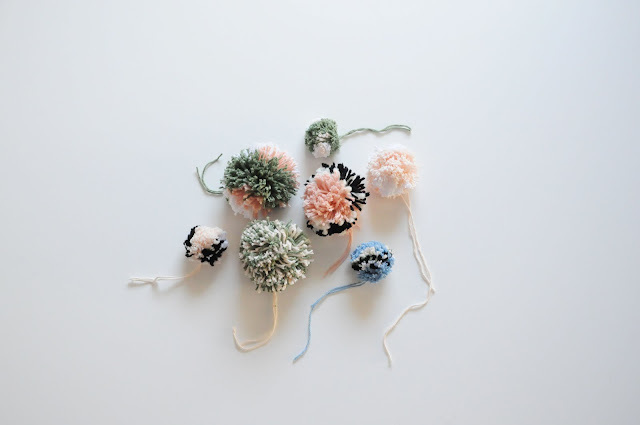 I have a few of those pom pom makers that make it a little easier. This is great! I am definitely going to try it. Thanks! i've been tempted to keep trying, so maybe this is just the way i need to do so! it's that or crocheting. (or, if i get really desperate, friendship-bracelet style weaving.) either way, your hat looks amazing!! Hi Anabela, I live in Toronto and was just wondering where you bought your hat loom? This looks so fun and I'm always burning my money on toques so this seems the perfect project for me! Hi! Thanks for saying hello & for the kind words. I got the loom at Michael's! I'm not sure if Lion Brand products are available anywhere else in the city. The full retail price at Michael's is about $50, so make sure to watch for those 50% off coupons they post online from time to time. I love this thing! I've already made so many hats and one very poor first attempt at weaving (I'll get there...). The loom technique is so interesting. I've never thought of that, but want to try it now, too! And the pompoms are lovely!